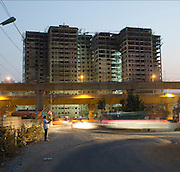 I have been photographing Bangalore, the city I have lived in for the last 25 years. In Bef 2012, I published a book called 'Bengaluru/Bangalore-In First Person Singular'. (www.maheshbhat.com/bangalore-book). This gallery is a collection of images from the book and the ones I didn't use.